Regulates the Geodetic Engineering profession, and organizes board exam for admission to the profession. 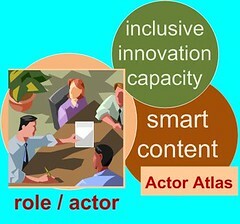 In a societal architecture an actor is of level pico, micro, meso or macro. The pico level actor, a human, is part of the Natural Order and participates as a natural person in the Social Order and the Techno Order. Actors at the levels micro, meso and macro are socially created as legal person with varying claims on resources and duties. (Societal) Architecture Principles would typically capture the variation of these claims in relationship to the kind of assets. Check out Fair Glocal Partnership and Fair Glocal Publishing for proposals regarding your livelihood. Check out wikiworx.info team on the role and skill requirements of contributors. How to apply is explained at the wikiworx.info joining page.